A marijuana “eradication operation” was carried out by State Police in conjunction with the Mass. National Guard, made possible by a $60,000 US Department of Justice grant. Peg Holcomb, an 81-year-old Amherst resident, has been nurturing her single marijuana plant, nestled within the raspberry bushes in the farthest corner of her Amherst backyard, for years. Never caused any problems with neighbors or police, she said. Until the afternoon of Sept. 21, when a “very low-flying, official-looking helicopter” armed with camera-pointing men flew around her backyard, a warning of what was to come: several police vehicles — many of them already full to the brim with pot, she said — descending onto her driveway to confiscate the plant. State Police spokesman David Procopio said the marijuana “eradication operation” was carried out in conjunction with the Massachusetts National Guard, a yearly exercise made possible by a $60,000 US Department of Justice grant. In all, 44 plants were taken from seven properties in Hadley, Northampton, and Amherst. “The operation utilizes a spotter from the MA National Guard Counter Drug Program in the helicopter,” Procopio said in an e-mail. 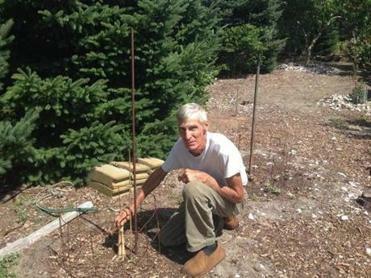 Paul Jackson, 82, can’t understand what was accomplished by cutting down his four marijuana plants. Holcomb was in Maine when the troopers arrived, but her son, Tim, was at the house. Holcomb said he asked the troopers if they had a warrant, and they implied there wouldn’t be any problems if they could take the plant right there and then. RELATED: Is marijuana a gateway drug? Holcomb, who said she uses the drug medicinally and recreationally, believes her constitutional rights were violated — an unreasonable search and seizure — and she said one of the virtues of her age is that she’s not afraid to speak out. “This is a violation of the Fourth Amendment, I am a citizen of the United States of America. You have overstepped and I am not going to step aside,” Holcomb said. “It was not in plain sight. It was way back in the corner of the property in my raspberry bushes,” she said. “The mowers were here — everybody was here — and nobody knew” the plant was there. RELATED: Legal pot brownies: delicious or pernicious? RELATED: Blacks are still more likely than whites to be arrested for marijuana possession in Mass. Procopio said troopers have no option when they come across marijuana plants — they have to confiscate them. “They are illegal . . . and have to be seized, ” he said. But Holcomb said she’s going to continue to speak out. “I hope that what comes out of that is two things: One, changing the ridiculously convoluted laws around marijuana,” she said. And two, that legalization efforts in Massachusetts include local growing. 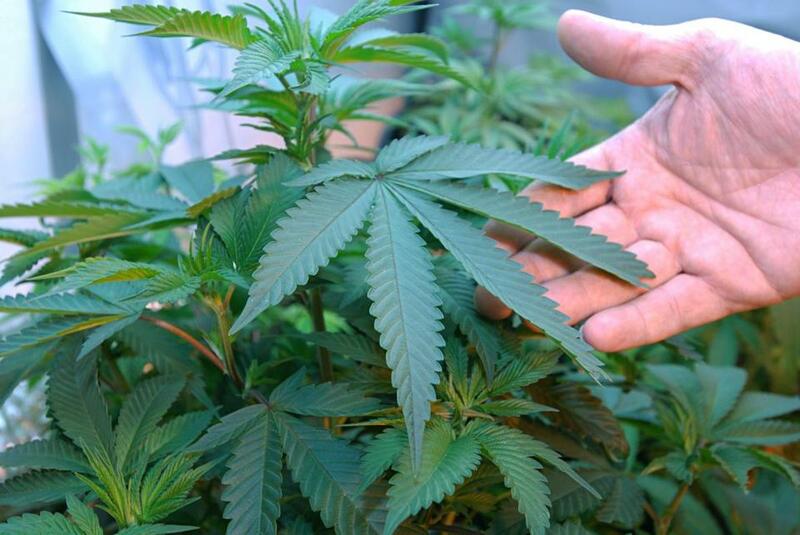 Massachusetts voters will decide whether to legalize the drug for recreational use in November. “One plant in the backyard should be like growing squash,” Holcomb said. Dylan McGuinness can be reached at dylan.mcguinness@globe.com. Follow him on Twitter at @DylMcGuinness.